Given the reputation that Vegas has attained as a furtive playground for lascivious party animals, I was somewhat surprised at the number of families who were also there. Many of the ones I noticed were in or around the Bellagio hotel. This bride and groom, trailed by their photographer, were walking around and clearly trying to find picturesque backdrops for wedding photos. I ran into them a couple different times. 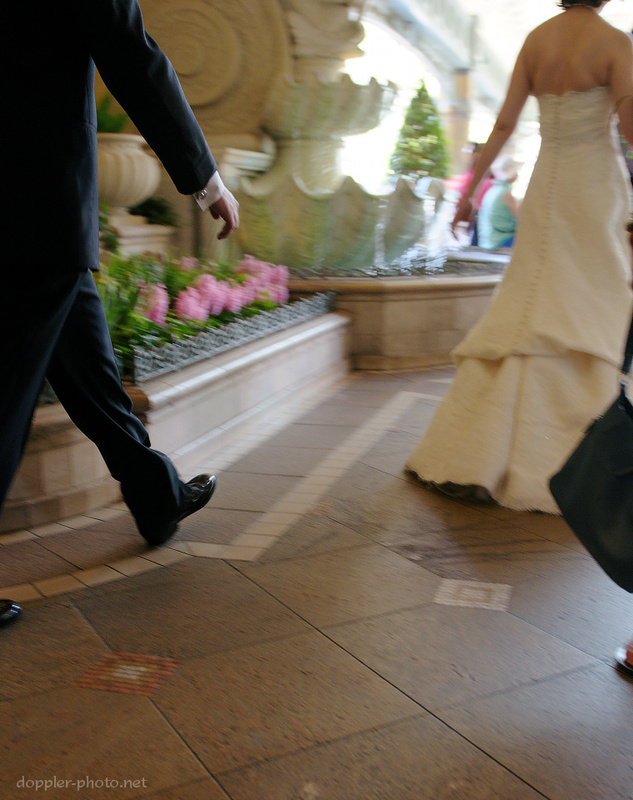 Above, they walk out of the Bellagio lobby and into the heat of the midday sun. 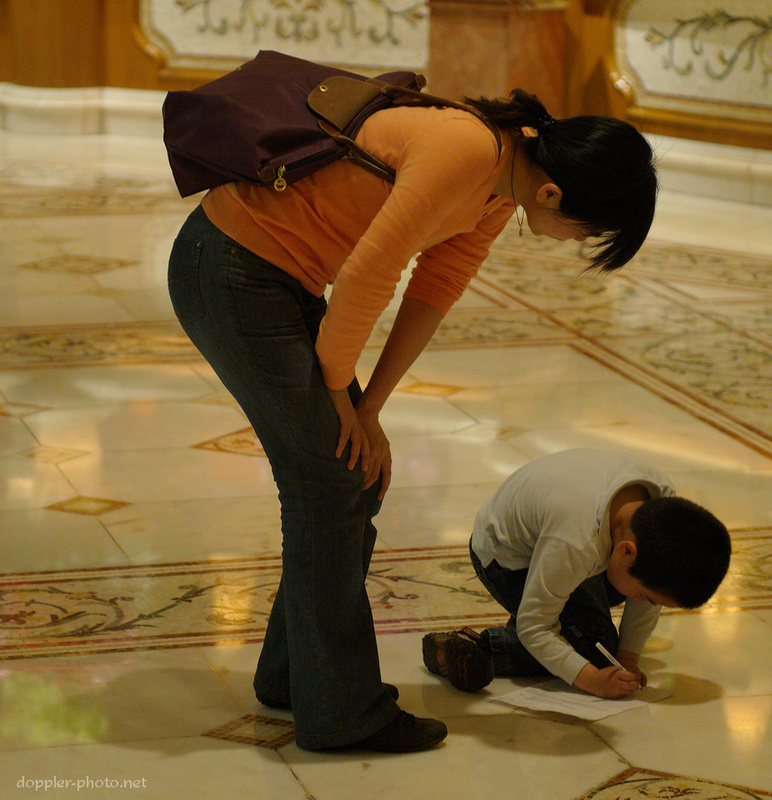 When I spotted this pair, the child was kneeling on the ground in the middle of the Bellagio lobby, oblivious to passersby, and was writing something on a sheet of paper as the woman watched over. This is a moving walkway, near where I spotted the father/son silhouette from a few days ago. The people were headed away from the Bellagio as I was being whisked toward it. This boy was fast asleep as his mom waited for a bus to ferry them along the strip. There are family-friendly attractions in Las Vegas. It's also a preferred venue for weddings.